His mother overheard him and asked, “Why would you pray so, my son?” The boy answered, “Well, Mama, we had a question on our final exam which asked, 'What is the capital of Pakistan?' and I mistakenly put 'Faisalabad' as my answer!" Although we can laugh at the innocence of a child, his trust in his supplication to Allah (سبحانهوتعال) and his belief that his prayer will be heard is admirable; as a matter of fact, it is ideal. We also should have that kind of trust, that Allah can do anything, and that if only turn to Him our pain will be soothed and our problems given solutions. 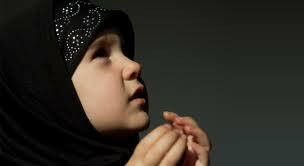 When you are praying, do not act as if you are enjoined the right to deserve whatever you are asking for. Make sure that you know that your Lord is the Most Gracious and you the Most Humble. Acknowledge your status before the Magnificent and do not be proud. “It may be that you hate something when it is good for you and it may be that you love something when it is bad for you. Allah (سبحانهوتعال) knows and you know not.”(Sura al-Baqara, 2:216) Always let Allah (سبحانهوتعال) decide what is right for you and what is wrong for you instead of implying or imposing that you know better. Make sure to spell out in clear words what you want exactly. It is true that Allah (سبحانهوتعال) knows the secrets of the heart but He still wants you to pray and pray in an articulate manner. For example, all the sisters who want good husbands should not just suffice praying as such, “O Allah (سبحانهوتعال), give us a good husband.”Though it may sound out-of-the-world, but it is true that there are brothers who are good looking, rich and possess an excellent character. A sister may ask for all three with all her heart, and she will inshAllah get her wish, but it will be better if she knows the order of the features that she wants in her husband, i.e., a good character must come first and foremost. The most critical factor in a dua being accepted or not, is the belief of the seeker in his or her supplication’s being accepted. Abu Hurairah (May Allah be pleased with him) reported, “The Messenger of Allah (ﷺ), ‘The supplication of every one of His slaves will be granted as long as he does not get impatient and say, “I supplicated to my Rubb again and again but I do not think my prayer will be answered. "[Al-Bukhari, Muslim]. Also, Allah (سبحانهوتعال) Himself states, “Do not despair of solace from Allah (سبحانهوتعال). No one despairs of solace from Allah except for people who disbelieve.”[Sura Yusuf, 87] Therefore, it is imperative that we do not grow hopeless of Allah (سبحانهوتعال)’s Mercy but keep on praying consistently and with patience. Allah (سبحانهوتعال) states at numerous places that a human being only remembers Him in the times of distress but forgets Him when he has tears of joy in his eyes. We all know that we do not feel good when our friends remember us in the times of distress but abandon us in the time of need. Though Allah (سبحانهوتعال)’s Rahma is infinite and His forgiveness is boundless, yet He expects us to keep on praying even when He has given us good times. Therefore, we should never forget our Lord when our heart’s joys know no bounds or when we are shouting in exhileration. Prophet Muhammad (ﷺ) said: “The dua of a Muslim for his brothers in his absence is readily accepted, an angel is appointed to his side, whenever he makes a beneficial dua for his brother, the angel says, ‘Ameen’, and May you be blessed with the same”. (Sahih Muslim). So a great way of having a dua being accepted in your favor is to wish the same for your brother with all your heart and importune the Creater on his behalf. This way, not only will your dua be accepted, but you will become the cause of happiness of your brother as well.